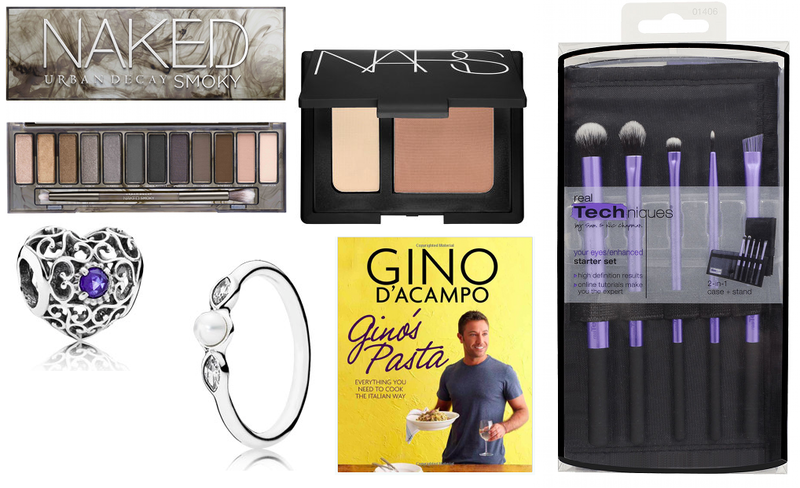 It’s my 22nd birthday this month and I’ve been eyeing up quite a few beauty goodies! I’ve been on a complete and utter shopping ban for the last 2 months and I’ve done SO well, I only slipped once in that time and that was purchasing something I actually needed as opposed to wanted so I’ll let it slide! I’ve been eyeing up the Naked Smokey Palette from the moment it was announced and I’ve read so many different reviews by bloggers to see if it’s worth the price and I think I’ve been convinced. The colours look amazing and the packaging alone was enough to make me fall in love with it. I didn’t get around to getting any of the other Naked palettes as I’m not much of a neutral eye makeup kind of girl, so I definitely think the smoky one is much more suited to me. I included the NARS contouring kit in my NARS wishlist and I haven’t got around to buying this one yet, so I thought I’d include it in this wishlist as well. I’m quite glad that a few months later I’m still lusting after this product because it is quite expensive so at least I know for sure that I actually do want it. I love the packaging and the look of the product and I’ve heard nothing but good things about it! Every year I receive a few pieces from pandora and the ring and the charm here at the two I’ve chosen this year. The charm has the birthstone for September on it and I think it’s absolutely gorgeous! The ring will go beautifully with the one I already wear so I’m looking forward to stacking them up! I absolutely love the Real Techniques brush sets so I thought I’d ask for some nice new eye brushes, considering how I’m hoping to purchase the Naked Palette. I’ve heard that these are very good brushes and they’re very reasonably priced as well. Finally, I’m really getting into cooking lately and I absolutely love Gino D’Acampo. Italian food is definitely my favourite type of food so I hope his cookbook is as good as it looks. I’ve asked my little brother to get this one for me!